Two greybeards, Harold Sweet of Samy's Camera Beatrice Street Rental, Los Angeles who holds the in-store TILTALL point-of-purchase (aka POP!) display (left) shown with your bloggist, Gary Regester. 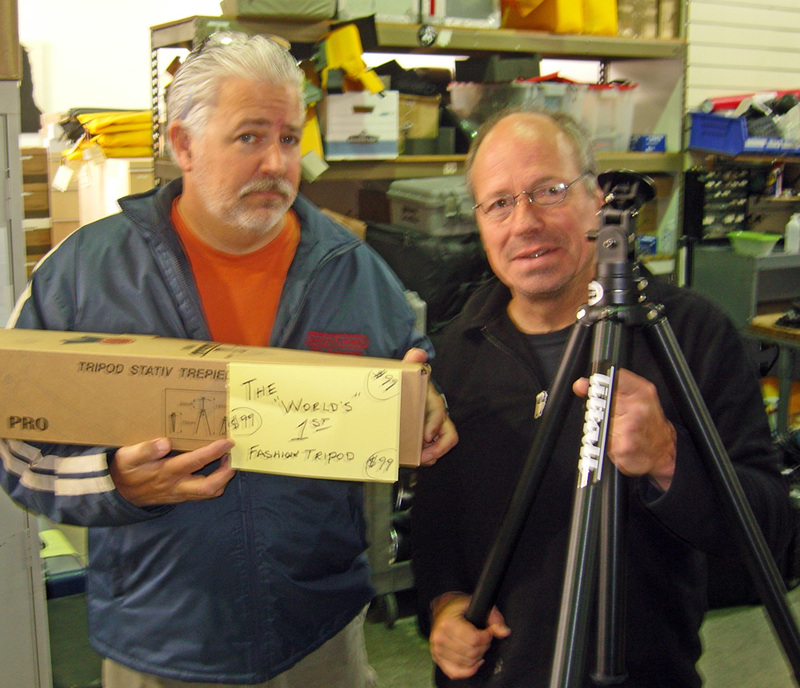 The lovely piece of paper taped to the aesthetic cardboard box reads "The World's 1st Fashion Tripod - $99". Certainly my kind of marketing - substance over fluff.